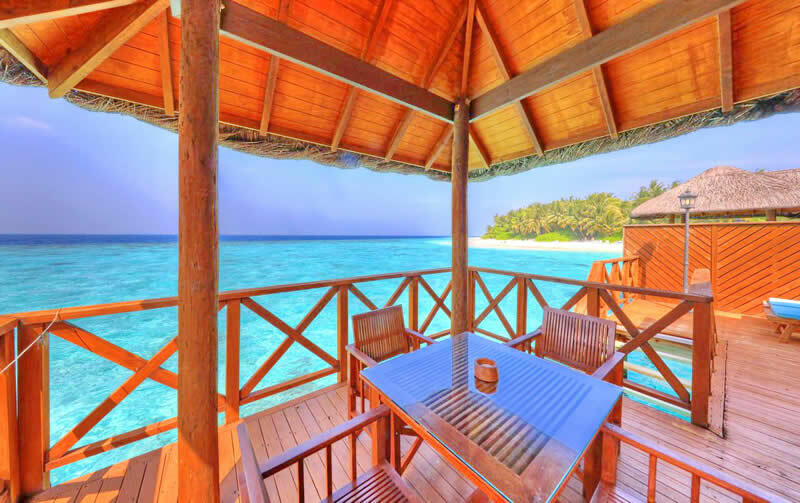 In a quiet corner of South Malé Atoll, Fihalhohi Island Resort continues to offer its guests a good and high-quality product. Due to the long-term partnership with major tour operators and small special offers, this resort remains a hit among families and couples who have opened it long ago and recommend it to their friends. Fihalhohi has a reliable and proven formula, and despite the years this cool hotel has not changed much. An island so rich in mature palms and native trees is rarely found among Maldivian resorts. This is a real visual feast, as well as a very practical option, since the shadow between the rooms and the beach is life-saving for children playing in the sand and also for adults sitting in chaise lounges or hammocks during the heat of the day. Fihalhohi has a carefully protected turquoise blue lagoon bordered by a coral reef easily accessed by swimming where scuba diving or snorkeling could be experienced. 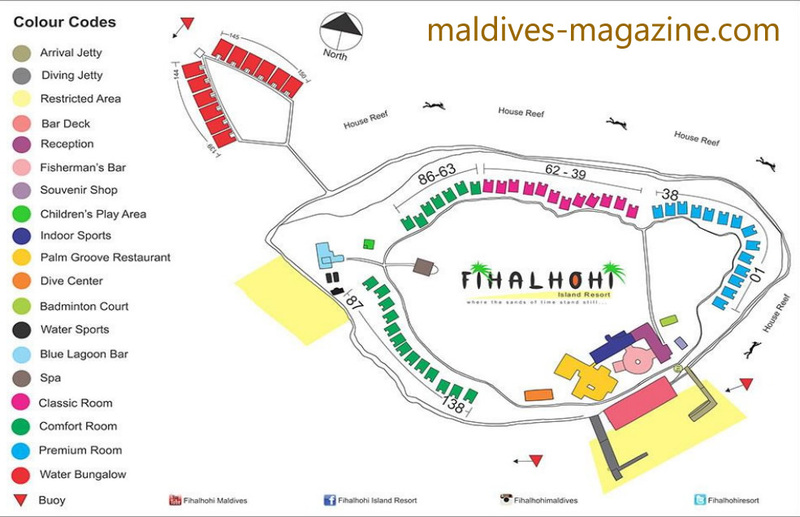 DOWNLOAD RESORT MAP. Lush green natural foliage and hundreds of shady coconut palms fringed by white sandy beaches cover an area of around 80,000 sqm of land where just enough has been done to make your holiday comfortable without disturbing the beauty and natural enchantment of the island. Enjoy this comfortable family vacation, most of the Germans and Swiss, and the third - Russians, British, French and Italians. The sand is still similar to powdered sugar, because all the years have not seen pumping, but the length of the beaches has decreased, and even a couple of wall sections have been built to protect erosion. Nevertheless, there is a good enough beach to wander around, and if you want to find a wider strip of sand under the sun, only a short walk is necessary. Fihalhohi is the last island of South Malé and is located on South Western rim of the atoll approximately 28 Km away from the Malé International Airport. Transfer time to the resort by speedboat would take a comfortable forty five minutes. 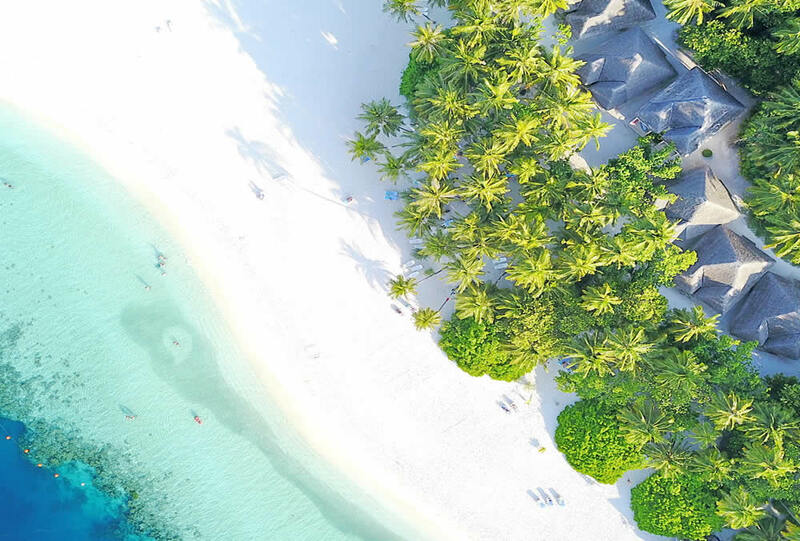 Your accommodation on the island consists of 138 beach-fronted rooms suitably located just a few meters from the water edge and twelve well-appointed water villas. Total of one hundred and fifty rooms. Standards of accommodation have risen since all of them have almost recently been built or renovated, and all rooms include air conditioning, a safe, a hairdryer, and a mini fridge. Free Wi-Fi in all rooms. A telephone is connected, but only for internal calls. Water Bungalows are also equipped with everything for tea / coffee, TVs and CD players. All 114 Comfort rooms differ from 24 Classic rooms only in that they have a little more space, a bath with a shower and air conditioning (you have to pay extra for the Classic a / c controller). They are also in blocks 4, 2 and 2 down. The design created for the convenience of accommodation is stylish and unpretentious, which is typical for the entire resort. Thanks to the success, new, additional rooms were built, which were crammed into the best beach space and the area near the Palm Grove restaurant. The 12 Water Bungalows feature the newest rooms and are clearly of a higher standard. There is a four-poster bed and comfortable chairs and a sofa, top-quality furniture, more space and a good bathroom with a separate shower. The verandas of the Beach Rooms are tiled and a bit small while the deck of the Water Bungalows is large, wooden and consists of three parts - 1 outside the bedroom, 1 outside the bathroom and one desk next to the water. From here you can slide into the water for a comfortable swim and good house reef snorkeling. 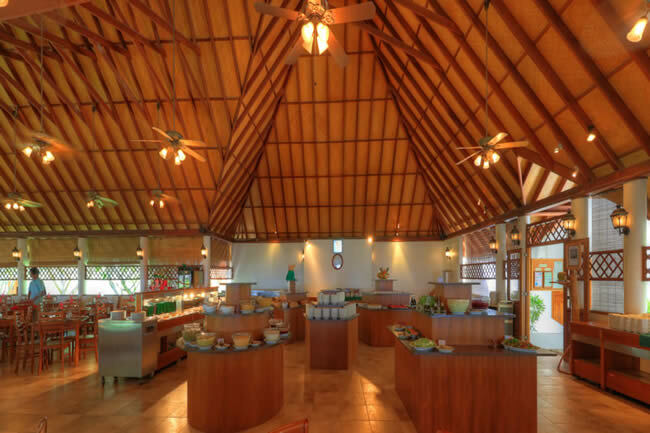 Palm Grove Restaurant at Fihalhohi serves sumptuous, buffet-style breakfasts, lunches, and dinners. Most tables are now designed for 4 people, and the meal time hears people with a cheerful hubbub and chairs creaking on the tile floor. This breezy Maldives restaurant perfectly captures the island spirit with alluring Indian Ocean views through expansive windows. A full continental European, English breakfast is available at the breakfast buffet and a wide variety of Continental, Asian and Maldivian curry cuisine is served at lunch. The variety of buffets is excellent, with different cuisines or food styles for each night of the week for 2 weeks. Most guests choose the All Inclusive meal plan. Blue Lagoon Bar is located near the water sports center overlooking the beautiful beach and fantastic sunsets. The bar offers a complete cuisine of freshly made snacks such as Burgers, Pizzas, and salads for lunch rich in variety and taste, another trump is the All Inclusive Hi - tea buffet is served at the heart of Surf Cafe. Candlelight dinners, mouth-watering steaks, and daily catches also served for dinner. Guests, of course, flock here in the evening. 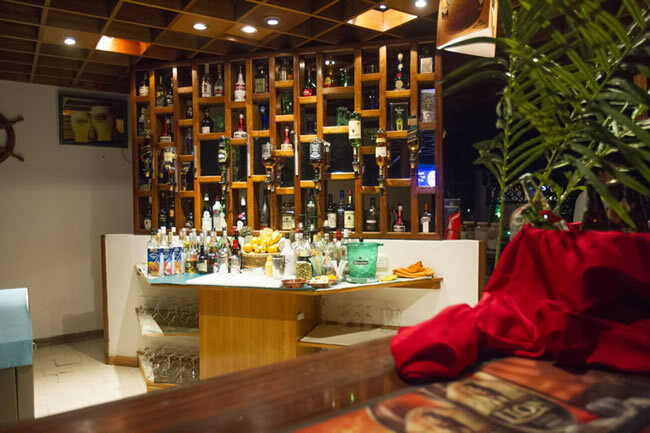 The bar opens until the last guest, but remains a quiet place, without music, as a conscious alternative to the main hangout of Fisherman’s Bar, in which something happens every night. The other place to hang out, The Beach Hut is located north of the beach with a pleasing view of the blue sea and sky offers a range of drinks such as Beers, water, soft drinks and fresh juices, the only bar in the island which is not in All Inclusive package. The 2-week program at Fisherman's Bar includes all the usual favorites from krab races to karaoke, disco and live music. Some evenings can last long after midnight, but guests usually go to bed quite early. The reasons for this - a large number of families in Fihalhohi, the general air of silence and relaxation, as well as a large predominance of guests who tire themselves with snorkeling and diving. The house reef is close by two thirds of the way around the island, with nice corals and hypnotic marine life, including sharks, rays and turtles, not to mention large schools of colorful fish. Neighboring world-class diving sites should also not disappoint you, although spots on the other side of the atoll (still very accessible for dhoni) are among the most famous in the country, around Guraidhu, Kandooma and Cocoa. Mantas and whale sharks are often found in the area from September to December. The Oiyaa dive center is more than happy to offer you a wide range of diving activities, Multilingual PADI certified instructors offer a selection of internationally recognized PADI dive courses. The Water sports center has all your needs for aquatic adventures from water skiing to sailing. On offer: equipment rental including snorkel gear, windsurfing equipment, canoes and stand up paddle boards. Water sports options include wakeboarding and water-skiing, kite surfing, windsurfing, catamaran sailing, jet skiing, banana rides, fun tube rides, and night snorkeling. 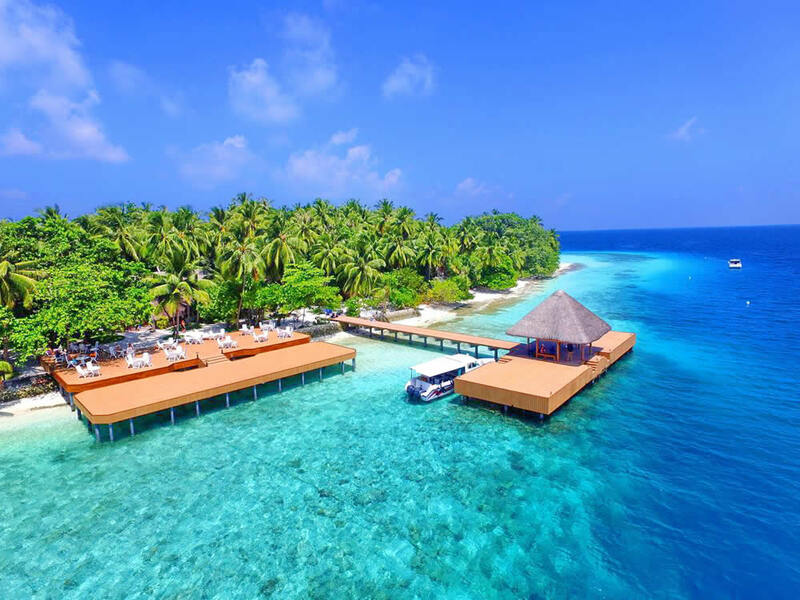 Also you can enjoy more activities, such as snorkelling exursions, sunset and night fishing, snorkelling with Whale sharks and Mantas, local island shopping, sunset dolphin cruises, trip to Malé city and Island Hopping. After a day spent in the ocean, Huvandhumaa Spa is a great idea. The spa offers a range of Asian and European massage techniques which can be tailored to your personal wellness needs. Also, Fihalhohi Island Resort have souvenir shop located at the reception area with varying items – from necessities to souvenirs to gifts. Fantastic house reef. Great snorkeling! Calm and quiet. Relaxing holiday. 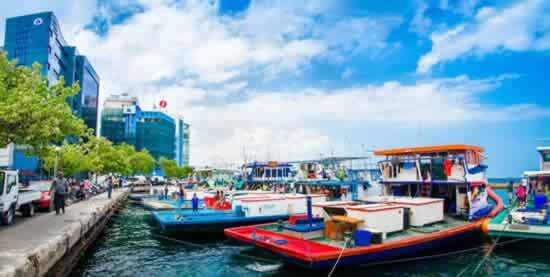 The resort is located on a private island in South Male Atoll and is 45 minutes by speedboat from Male airport. Speedboats transfers operate during 0845 hours to 2230 hours. Time on the island differs from Male by +1 hour. Equipment for snorkeling paid - bring your own. In the gym more equipment needs fixing. 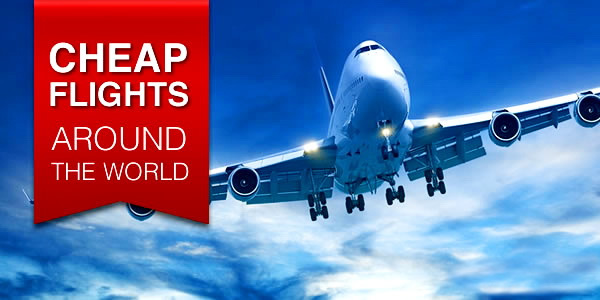 All Inclusive package is very limited compared to other resorts in the Maldives.